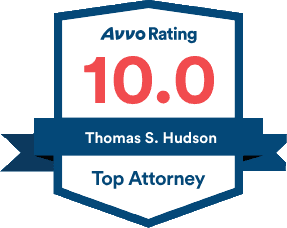 Tom Hudson has been recommended by some of America's Elite DUI lawyers, as well as his local colleagues. "I have listened to this man speak at National DUI events and most recently in Key West. I am impressed with his DUI certification but more than that he truly speaks from his heart. He cares for his clients beyond the courtroom in a way that few professionals do. I recently referred him a Florida case, and could not find enough nice words to describe him." 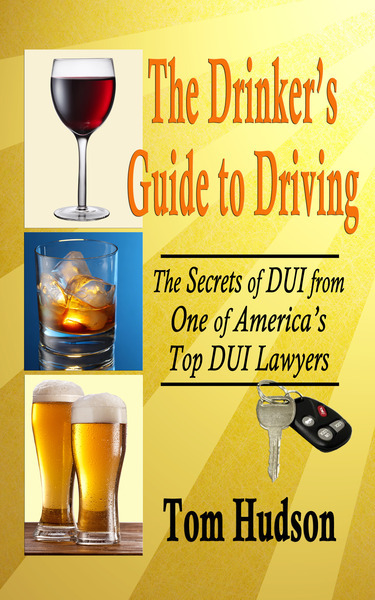 "Tom Hudson is one of the top DUI lawyers in America. Fewer than 40 lawyers in this country have been able to pass the examination for Board Certification in DUI Defense - Tom is one of the few. Being Board Certified means that he has the highest qualifications needed to defend DUI case. I have known him for many years. I have discussed and studied DUI law with him. I turn to him for advice. I would have no hesitation in sending my family or friends to him if they had a DUI." "I have known Tom Hudson since 2000. He has a reputation as one of the outstanding DUI defense lawyers in America. I would not hesitate to send a family member to him. My highest endorsement." "Attorney Hudson is a very skilled and artful litigator of the highest order. His ability to advocate effectively for his position is remarkable. His reputation for achieving great results for the citizen accused by the government of a crime is well known. His reputation for excellence in all matters is a hard earned national one. This reputation far exceeds the bounds of his state as evidenced by this lawyer from Central Pennsylvania not only knowing of him but in that I can personally attest through first hand observation his high level of proficiency in litigation and in the defense of the citizen accused. Superior, fantastic and skilled. He is the one I would put in my corner every time." "Tom Hudson is one of Florida's brightest and most diligent DUI advocates. He has constructed a web site that offers free information to citizens accused of DUI, and has made it as user-friendly as possible. I have sponsored numerous advanced training seminars in Atlanta as well as NHTSA-approved courses that he has attended, to assure his clients that he is up-to-date on all the latest in legal challenges to the State's evidence. Tom has one more talent that most skilled attorneys do not --- a commanding voice and courtroom delivery that gets jurors' attention, and a judge's attention. He is one of the stars of DUI defense on the west coast of central Florida." "I endorse this lawyer. Tom is extremely experienced in DUI and Personal Injury Law. He is a compassionate, warm individual who looks out for his client's needs. "I have known Tom Hudson for several years through our association in the National College of DUI Defense. I consider Tom to be one of the most talented and knowledgeable attorneys I have ever met. He is tenacious and creative. I highly endorse Tom for any matter that he handles." "While a Prosecutor I tried a couple cases against Tom and was amazed at his knowledge for DUI. In my travels I have yet to meet a DUI attorney with the knowledge and understanding of all things DUI that Tom has. He has an excellent reputation amongst the State Attorney's Offices in the area in which he practices, and in my opinion is one of the finest DUI attorneys in Florida." "When I first met Tom he was quick to share information that would help my clients charged with DUI. Tom has received Board Certification in DUI Defense. Very few lawyers attempt to pass this grueling examination; it requires tremendous dedication. Tom has that dedication for his clients. I give him the highest recommendation." "Tom is among the handful of lawyers to whom I would entrust my own case. His skill in the courtroom is unmatched, and he will take the time to teach you about the law that is applicable to your case and help you understand what will happen as your case moves through the system. He is also highly respected by the judges, the prosecutors and the lawyers across Florida and really, across the nation. He will use this respect and credibility as he looks for a way to win your case." "I have known Tom Hudson throughout years of his dedicated contributions and participation in the National College for DUI Defense. Tom is a fighter for his clients. His enormous knowledge of DUI defense gives him the upper hand when defending his clients. DUI defense is not easy. A qualified attorney such as Tom is needed to fight DUI allegations. I recommend Tom Hudson for anyone accused of a criminal violation is the Sarasota area." "I endorse this lawyer. Mr. Hudson is a highly skilled and professional attorney. He shows compassion for his clients and is one of the most knowledgeable DUI attorneys that I have ever had the pleasure of knowing. A true asset to the legal community."